Police are appealing for information about an incident that took place at Ettrickbridge which left a man in hospital. A 39-year-old man is currently at Borders General Hospital following the incident on Thursday night. Police, ambulance and fire services were called to an Ettrickbridge property where a stand-off is reported to have taken place. 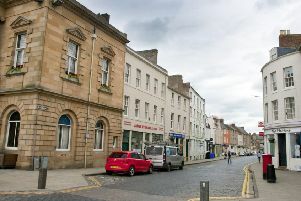 A Police Scotland spokesman said: “Police in the Scottish Borders were called to an address in Ettrick Bridge, Selkirk on Thursday 22nd June following a report of concern for a person within. “Specialist and local emergency resources were deployed in the area to maintain public and officer safety. “A 39-year-old man is currently in hospital for assessment. “Local residents are thanked for their patience whilst officers dealt with the incident.